Cloudsoft AMP (Application Management Platform) orchestrates services, platforms, and infrastructures to ensure that they directly meet the needs of applications, dynamically and in real time. Cloudsoft AMP is built upon a foundation of autonomic computing, a framework which allows systems to configure, heal, optimize, and protect themselves according to policies established by their operators. Cloudsoft AMP makes operational expertise part of application design. Applications respond to demand, failures, and changing priorities automatically, across public and private clouds, or your own hardware. AMP provides a policy-driven control plane that actively manages applications through their lifecycle. Blueprints define application architecture and describe the policies that control the application. The result is sophisticated behavior across the full lifetime of an application, through the use of a modest number of understandable constructs, thus reducing complexity and reducing the level of human involvement. What is included in Cloudsoft AMP? 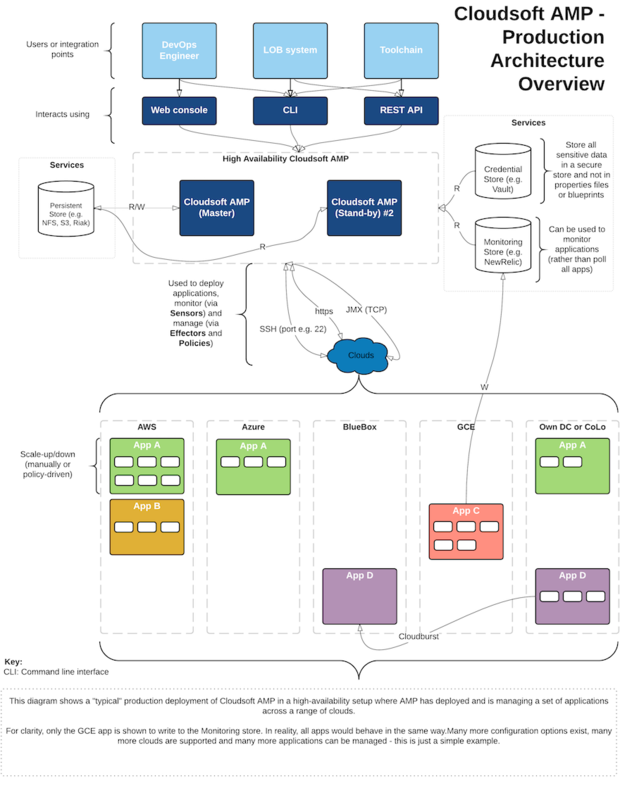 What does a typical Cloudsoft AMP deployment look like? There are many ways to use and configure Cloudsoft AMP to meet your particular needs. 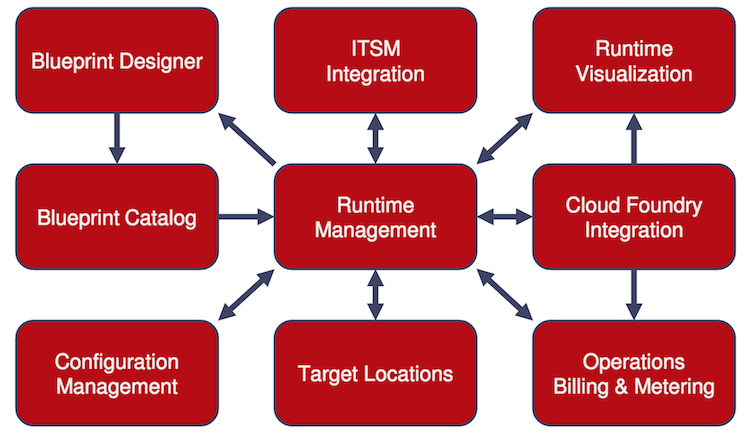 The following diagram provides an overview of how you might use Cloudsoft AMP.